From Italy with love: what to bring from the trip to parents and relatives of older age? Italy is a paradise for those who dream of fashion shopping: an endless number of boutiques, shopping centers and outlets can satisfy even the most demanding customers. However, there is an urgent problem of how to please parents, what can they bring to their grandparents, or maybe their aunt and uncle? Service TaxFree4U has prepared for you a list of recommendations that will help you find a suitable souvenir for your parents “From Italy with Love.” And do not forget: with our mobile application you can return up to 19% VAT on purchases made not only in Italy, but also in France, Germany, Spain, Britain and Finland. So, let’s start: before you check-list of souvenirs, for which your parents will tell you a sincere “thank you”! Italy is strong gastronomic traditions, so do not forget about wine, cheese and pasta. 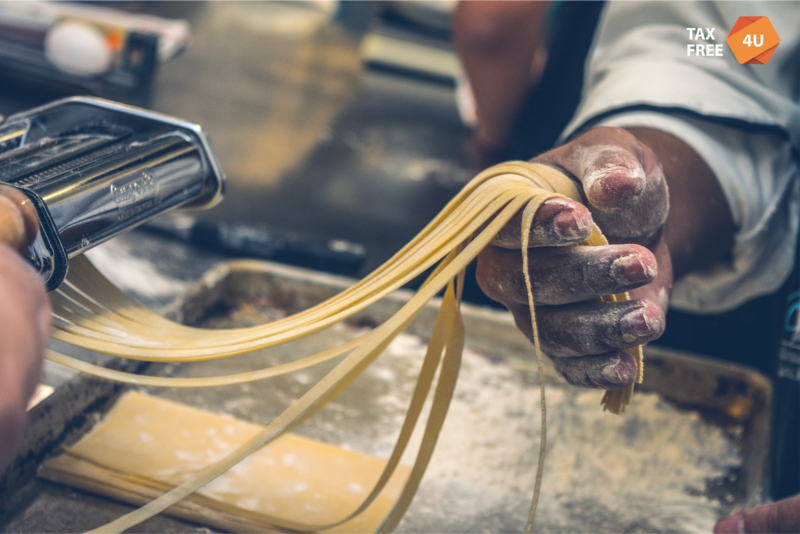 Pasta has a special conversation – in each province they prepare their own kinds of pasta and everywhere they are different, but different. There is also paste in gift wrapping, which is even a pity to use. In any case, the hostesses will appreciate your gift. Another important product that people like to bring from Italic land is pesto sauce. Italians themselves add it to half the dishes of their cuisine. A taste for an amateur, but if your relatives love pesto, be sure to grab a couple of jars from the trip. Perugia is the Italian capital of chocolate. It hosts one of the biggest sweet festivals in Europe (this year it will be held on October 16, and you can find out more about it in our article about European holidays). And do not forget about aprons: in Italy there are a thousand of them and you can find such a souvenir for every taste and color. And the memory of the trip will be with your relatives for many years (with careful handling, of course). Anyway, magnets are very popular with refrigerators. Despite the fact that most of them are made in China, magnets, lighters, opener – an inexpensive gift that will constantly remind you of the trip and cheer up. Do not ignore and copies of attractions, miniature copies of Roman statues. Especially popular is the scene called Pieta (the mourning of Christ by the Mother of God), the Capitoline wolf with Romulus and Remus, as well as Max’s “Mouth of Truth”. In Florence it will be countless copies of Leonardo’s creations, and in other cities of Italy – local architectural masterpieces and busts of famous citizens from the past. To visit Rome and not to buy souvenirs from the Vatican – means mercilessly offend the older generation. 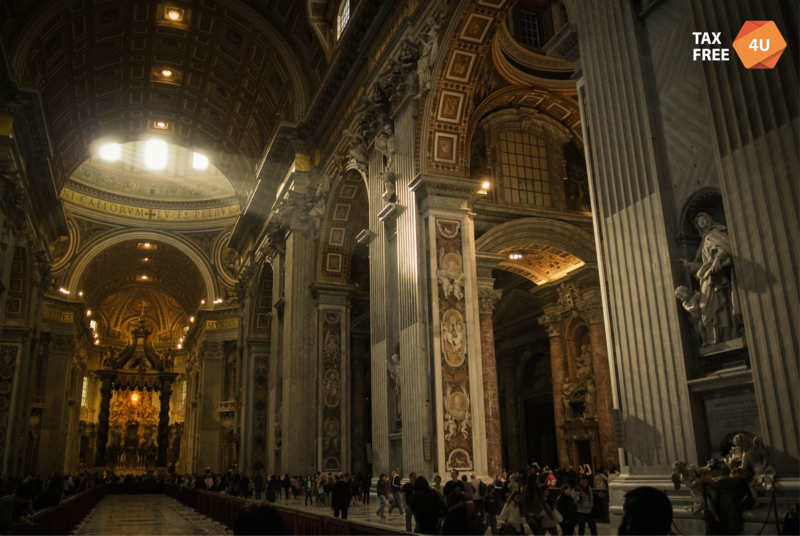 Let this place be a stronghold of Catholicism, but the common Christian faith is much more important. The prices in souvenir shops of “the state in the state” bite, but here you can find also the crosses made of precious metals consecrated by the Pope himself, and holy water in a beautiful bottle (price 2 euros), and a variety of jewelry, dishes with scenes from the Bible. 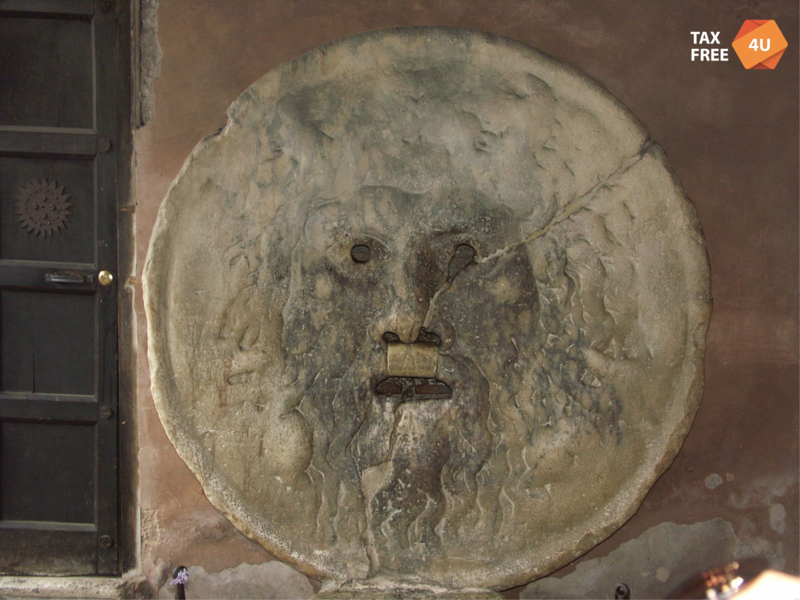 Do not pay attention to brisk merchants near shops and on the streets of the Eternal City, even if they offer you to buy the true finger of John the Baptist or one of the Nails from the Cross of the Savior: all the artifacts of the church are kept under lock and key. For the male relatives a model of mopeds and Ferrari cars will suit. 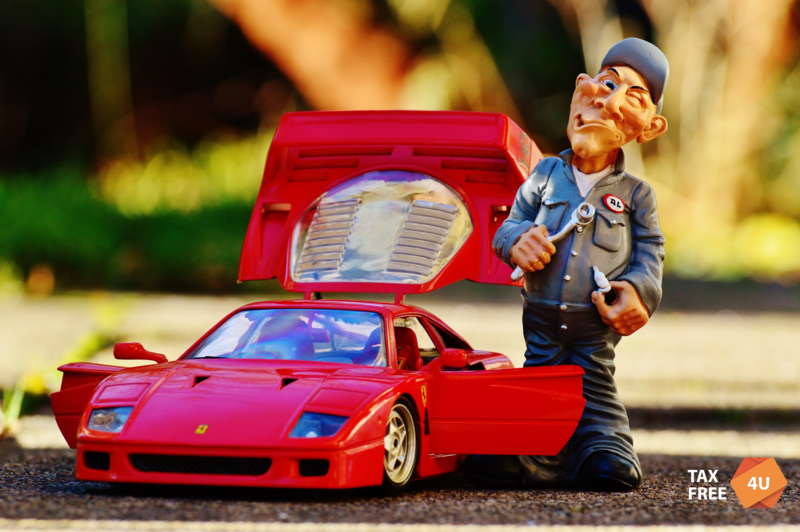 Of course, you can buy them in your hometown, but even Italians are scrupulous about sports cars that are produced in their country, so any branded products from Ferrari, Lamborghini, Maserati are always of high quality. Silk and cashmere scarves – one of the business cards of Italy. They are produced as a famous brand, like Lous Vuitton and Valentino, and local brands. 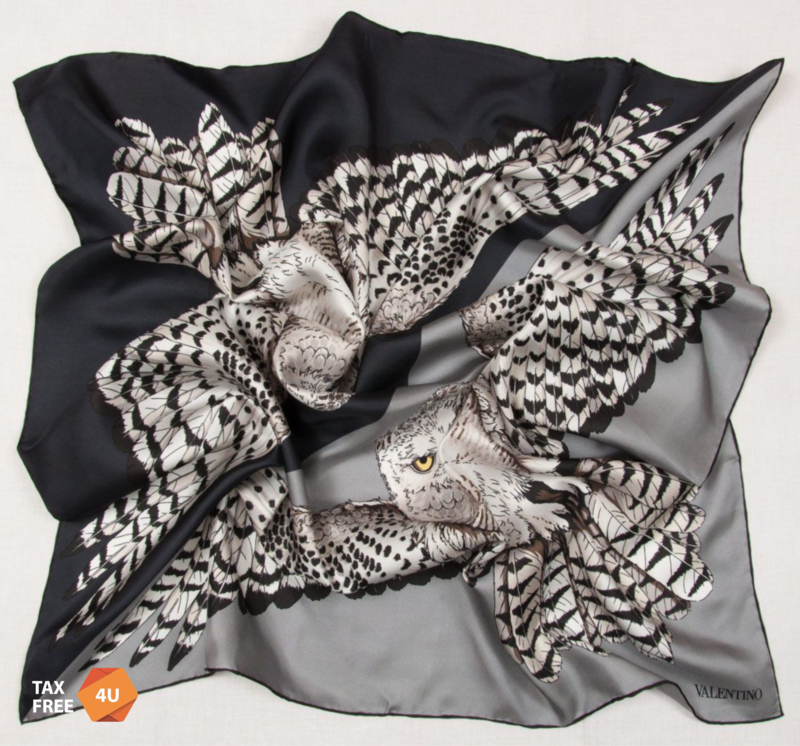 But do not buy handkerchiefs from street vendors: you can sell a low-quality fake for rabid money, and with the purchase you can not return a cent (even with our application: TaxFree4U only works with original manufacturers and licensed sellers). How to avoid persistent sellers of oriental appearance? Just ignore them! Don’t pass by the hats: Italy is famous for the whole world with its headdresses. One of the most interesting brands is Borsalino. It is expensive, but it pays for itself. Such hats will not go out of fashion in the coming years, and manufacturing in their own production guarantees quality. However, in Italy there are a lot of hat masters, so you can buy a bowler, a hat or a felt hat, a little-known brand for a few euros and not lose at all. Quality here is a matter of honor. A frequent souvenir from Italy (especially from the province of Tuscany) is leather products. Tuscany leather is a world-famous national brand. However, even a purse should be bought in specialized stores, not shopkeepers. However, you can expect a small disappointment: an increasing number of things are done in China and sold as authentic products. But the producers give a head on cutting off that the skin still makes its way in Tuscany, and the masters are trained and certified in Italy. 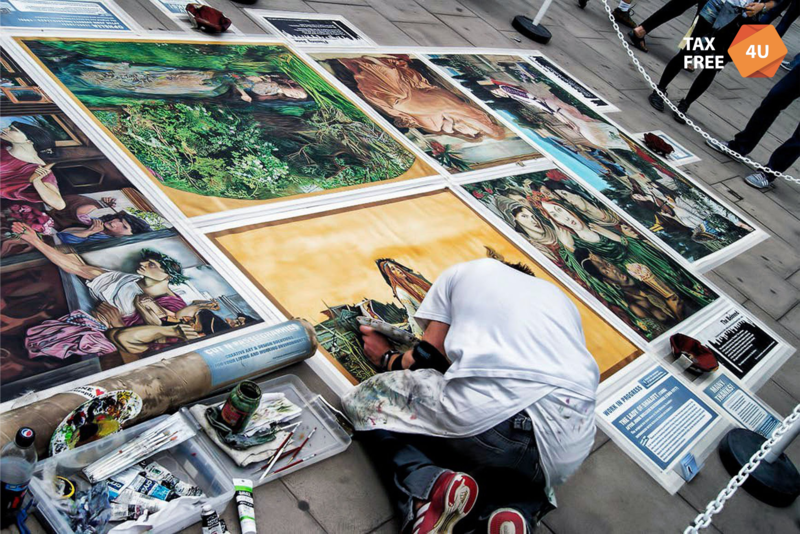 Do not forget about art: on the streets of Italian cities there are countless artists who create real masterpieces in a few minutes. Such paintings will be an original gift (and most importantly, inexpensive). However, make sure that pictures are created with you, otherwise you risk buying a poster or just a photo. A trip to Italy is a wonderful holiday, in which it is easy to combine shopping therapy, visiting historically important places and enjoying Italian cuisine. You can afford what you planned, and with the help of the mobile application TaxFree4U you can also save considerably without denying yourself shopping: we will refund you up to 19% VAT on purchases in Italy, as well as Spain, France, Germany, the UK and Finland. Enjoy Roman holidays, buy nice and useful souvenirs for your parents – we will do all the work for you!